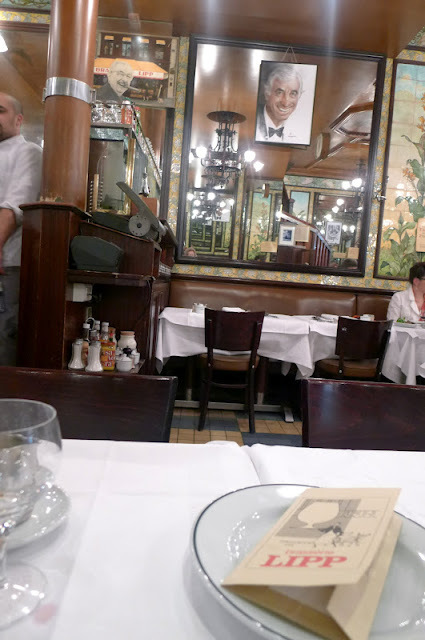 Brasserie Lipp is one of the institutions on Boulevard St-Germain that every visitor to Paris should visit at least once, if not for the somewhat simple, but generous portions of the Alsation cuisine, or the wonderful Art Deco tiles and paintings, then just to experience the theatre of it all, with the seemingly haughty waiters who are actually great fun and appear to mellow as the meal progresses. You do not apply to be a waiter here - you are proposed for the job. No reservations taken - except for the President of France who happened to be a bit busy being sworn in the day we were there ! It remains a place to converse, read and write just as Proust and Sartre and Sagan and dozens of others have. Ernest Hemingway wrote his pre war dispatches here. Dogs are welcome and I laughed when a little fox terrier trotted by us in the dining area - imagine our "nanny state"allowing that ! The beautiful Belle Epoque mirrors are cleverly tilted so the clientele can see what is happening in all corners of the main room. As the food identity, Patricia Wells says, "There are institutions like Brasserie Lipp that people love to hate. And then there are those one loves to love. Sometimes love gets in the way." 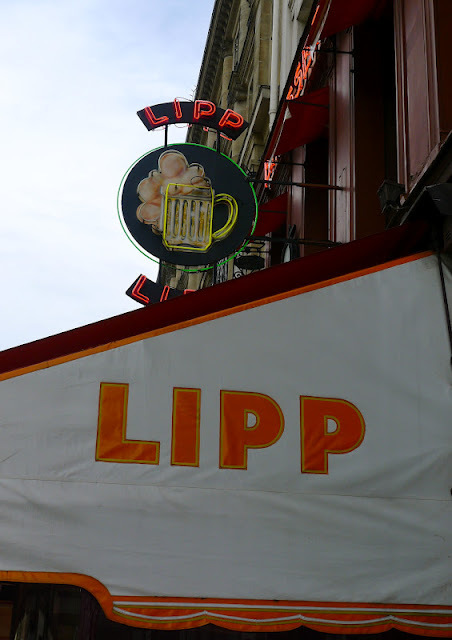 On reading this I'm now glad I had 'The Lipp' on my must vist list when in Paris last year. I hope you stole a menu or wine list - it would be nice framed in the kitchen!